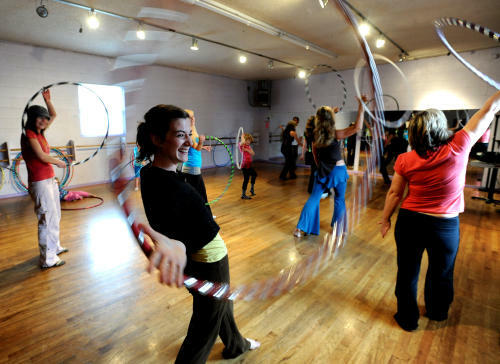 Hooping Classes Starting Soon in York! There have been all sorts of exercise crazes lately. New ways to keep fit such as Zumba and the latest Bollywood inspired dancing all have their merits and I do enjoy them but have to admit I’ve been lazy of late! The next fitness activity which I fancy trying, and to be honest I’m not sure if it is new or not, is Hooping. Take those Hula Hoops you used to play with as a child and use them to tone up and get fit! The course text states that the classes are a blend of cardio and toning, the aim of which is to give you a fun range of movement that you can take away and continue with beyond the course. I am all up for promoting sassiness so will be going along in September! The beginner’s course starts on Wednesday 4th September for 6 weeks from 7-8pm at Door 84 and costs £30 or £50 for two.